Listen up guys and gals – I have some serious news to share. Ok, not serious serious, but seriously good. I have legit just had the best steak of my life. So great it was, that instead of lying down on my sofa with my yuyu and fluffy blanket to soothe the food baby that's growing inside of me, I'm writing this, hot off the press. I am having utterly ridiculous, out-of-this-world, best-steak-ever kind of feels right now. I don't think I'll enjoy any other food ever again. You might have heard of The Ox if you're from my neck of the woods. If not, it's basically a top notch steak restaurant that opened in Clifton late 2015 (correct me if I'm wrong!) They also serve the "best Sunday roast in Clifton" so, naturally, it's been on my list of places to eat since it opened. A severe case of January blues forced me to get my bum into gear and down to the Clifton restaurant, and, I have to say, it cured my sadness. So, I guess you could say I'll never go vegan. From start to finish I could not fault my visit to The Ox. The staff were exceptionally welcoming, friendly, professionally trained and knowledgeable about the menu. They recommended what wine to have with which steak, and how best each steak is cooked and served. And, as you can see, the decor was divine, so that made my time there even more enjoyable. Like every time I visit a restaurant for the first time, I spent most of the day eyeing up the menu. In the end I always go back to what catches my eye first, and this time it was the fillet steak. Our waitress recommended this to be cooked medium-rare, and it was utter perfection. 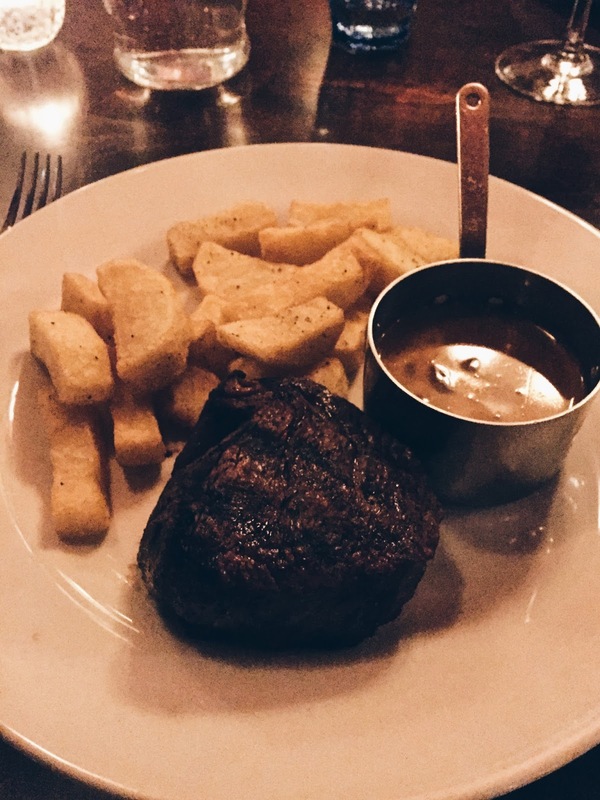 I had it with their green peppercorn sauce which was incredible, but even on its own the steak was unreal. I got coerced into ordering dessert, too. 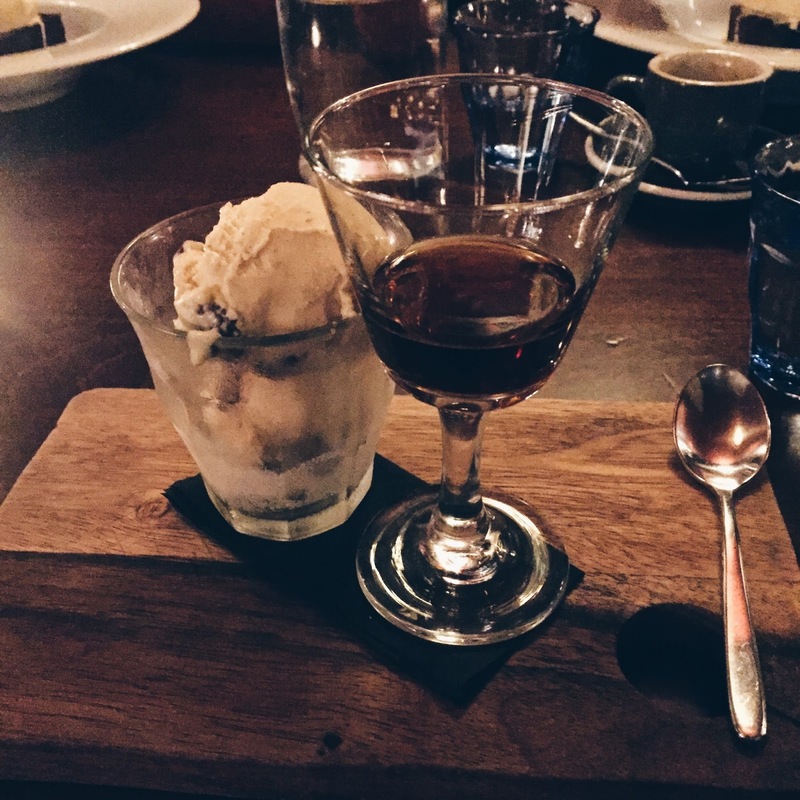 I chose the PX rum & raisin affogato, expecting it to come with a shot of espresso (as standard, right?) but it was just the sherry. This turned out to be extraordinarily delicious. Dispersed in the ice cream were these huge raisins, and, with each spoonful, came the warming aftertaste of the sherry. YUM. Before my visit to The Ox I hadn't been much of a steak person, but now I totally get it. Good quality, responsibly-sourced meat served to this standard is something I wholeheartedly believe in. 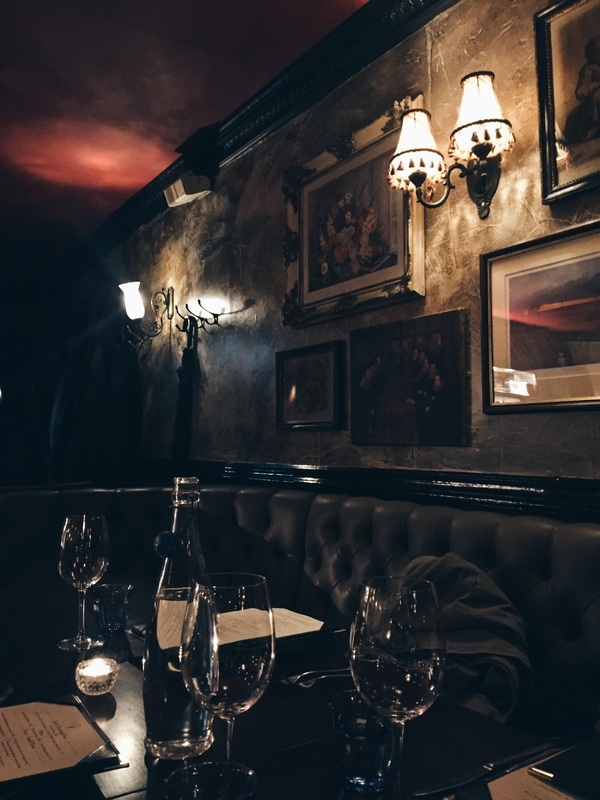 I felt full and happy – and isn't that exactly how you should at the end of a meal? A little on the pricier side, The Ox is a special treat kind of restaurant - for me, anyway! Still, I can't wait to go back again and try some of their other dishes (maybe on my birthday?). 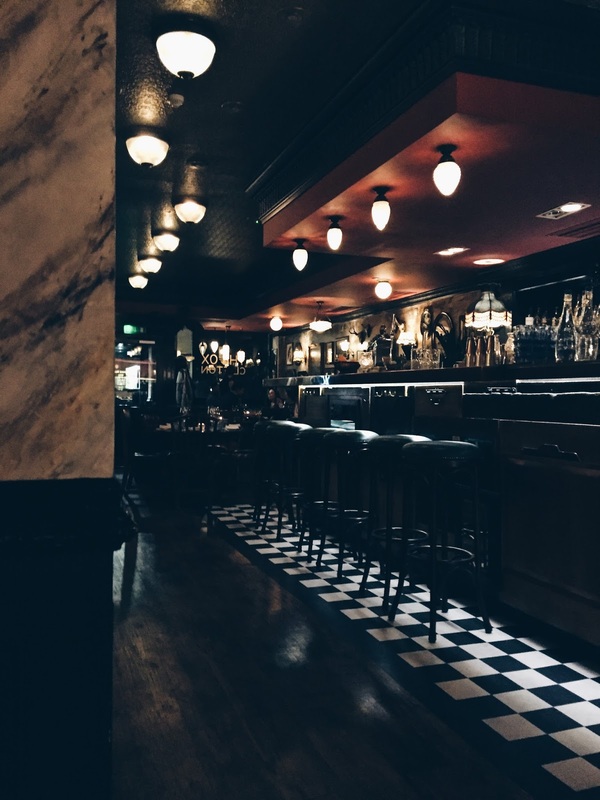 Have you been to The Ox? What would you recommend? I've never been there but next time I'm near Bristol, I'll have to stop by! I love affogato but I've never seen a rum and raisin version.